This review is for a sample graciously provided by @Nozinan. 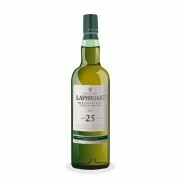 Much like my review of Lagavulin 12, anyone considering my score should temper it with the knowledge that I am very favourably disposed toward Lagavulin, Laphroaig and Ardbeg. I try to remain as objective as possible, but the senses want what the senses want. Nose (undiluted): very briny (sea salt), the seaweed (iodine) note is front and center at first, with the smoke hanging around in the background. There is also a pronounced, rich vanilla note. With time in the glass, the smoke becomes more assertive with a mineral note appearing as well. A bonfire on a rocky beach. Later still, aromas of salted caramel start competing with the smoke. The nose has a great development. This is how scotch should smell. Palate (undiluted): surprisingly sweet arrival, medium-bodied, very friendly for a 57.2% ABV whisky, rich earth, ashy peat, some restrained black pepper notes with the salted caramel popping in again. Finish: long, sweet and earthy, black pepper returning with a medicinal, menthol and iodine note lingering. Hints of barbecue smoke. I don’t want this to end. Adding water immediately made the nose far more medicinal and antiseptic. The smoke retreats a bit before coming back and bringing the salted caramel along for the ride. 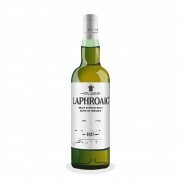 The vanilla aromas are toned down with the addition of water, but a ripe pear note I often find in Laphroaig pops in. The arrival in the palate is actually hotter with the addition of water. Black pepper comes forward but retreats quickly as the sweetness comes back, which develops to a rich, thick cigar smoke. The finish is less medicinal with the addition of water. The earthy peat dominates the finish with some briny seaweed hanging around. I think this one might actually be better with a bit of water. I added a little less than half a teaspoon and it made a positive difference. Of course, time in the glass may have been the difference-maker as well, though I did let it rest 15 minutes (covered) before nosing and sipping neat. This might be, to my tastes, a perfect whisky, if not for the existence of Lagavulin 12. It's up there for me, however. I'm glad you like that one. You write such good reviews...I need to get you more samples. These reviews are matters of personal taste, not some attempt to guess what other people other than you would think of the whisky or how they would grade it . Of course you like it. That is implied in giving the whisky 94 points. It would be sublimely dishonest for you to give a lower score to a whisky which you love because you think that other people have some consensus conspiracy about what the score ought to be. No one is likely to be offended because you happen to like Laphroaig. 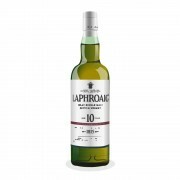 BTW, I am one of those who, like @MadSingleMalt and others, has liked every bottling of Laphroaig 10 yo Cask Strength which I have encountered. 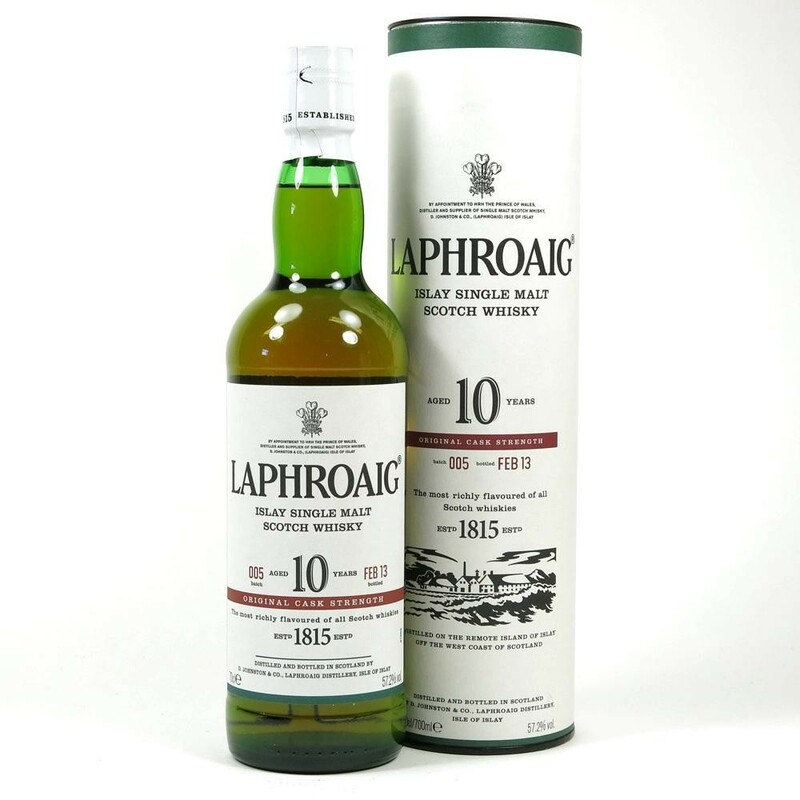 I agree with him that Laphroaig 10 CS is perhaps the best value for money in the Scottish single malt world (along with Ardbeg Ten), at good US prices. 10 CS might be at a lower average cost in some parts of the US than it is in the UK, from some reports. Glad to see that you finally got a taste of Laphroaig 10 CS, @OdysseusUnbound! Hopefully you will have your own stash of it one day. There's lots of it for sale "south of the border". Laphroaig 10 CS will save the world. @Nozinan Thank you for the kind words, and for the samples ! @Victor Thank you for your thoughts. I try to be as objective as possible all the time. I just want anyone who doesn’t “know” me or my tastes to be aware of my biases. Interestingly, i listened to a whisky podcast earlier wherein Davin de Kergommeaux and two other whisky writers/bloggers reviewed 3 Islay whiskies blind. The unanimous winner ended up being Octomore 8.1, two of the three ranked Laphroaig 10 (43%) second and Lagavulin 8 (at the original 51%) third. One prefered Lagavulin 8 to Laphroaig 10. Davin, in particular, was shocked that he scored Lag 8 as low as he did, as he stated he has several bottles bunkered and he “really likes it”. I guess it shows how pre-conceived notions affect our perceptions. Of course, our palates vary day to day, so anyone’s scoring is best used as a guide more than gospel. At least, that’s how I see it. Blind tastings seem like a lot of fun. It's been years since I've had this one. There is a consensus about it that makes me want it badly. I'm hoping to rectify that when I'm in Scotland in September, or sooner if I can get my sister in law to hunt it up in Oregon before her next visit. @OdysseusUnbound: " Blind tastings seem like a lot of fun." Heck yeah. Somehow I forgot to do this during my most recent bottle of Laphroaig 10 CS, but during my next one I will give myself the blind lineup of that, PC7, Octomore 6.1, Ardbeg Corry, and Lagavulin 12. Those blind comparisons are so much fun—a great way to "tinker" with your whiskies. My method is to label the underneath of each glass (just with like a pen & masking tape or whatever) and then three-card-monte them until I no longer know which is which. @OdysseusUnbound, I would not call your liking for Lagavulin, Ardbeg, and Laphroaig a bias unless I saw you give high praise or a high grade to one of their whiskies which you had never tasted. Praising something which you have never tasted for yourself is a bias...as is condemning any whisky which you have not tasted for yourself. Put another way, if everything which every whisky drinker likes and does not like is a bias then every person is biased, and the word bias has no meaning in our whisky appreciation conversation. @Victor A clear-headed distinction. Thank you. Bias in this context, is probably the the giddy anticipation I feel when I think about buying a Lagavulin 8, a Laphroaig Cairdeas or picking up an Ardbeg Corryvreckan someone is holding for me. I've never tried them, yet I assume I'll like them, based solely on past experiences. I think David Hume warned about using past experience to predict future events, so maybe I'm being a bad skeptic with regards to those whiskies. @MadSingleMalt I've tried to get my wife to pour me some whiskies and not tell me what they are, but these requests are usually met with "Why? You're such a weirdo. Can't you find something better to do with your time?" The closest I've come is when tasting samples provided by @Nozinan I don't research anything about them before tasting them. Of course, the name obviously affects my expectations. If my experience with a distillery is consistently good (like Springbank), I'm likely to expect the next bottle to be good too. I wonder though whether this bias can lead to disappointment.